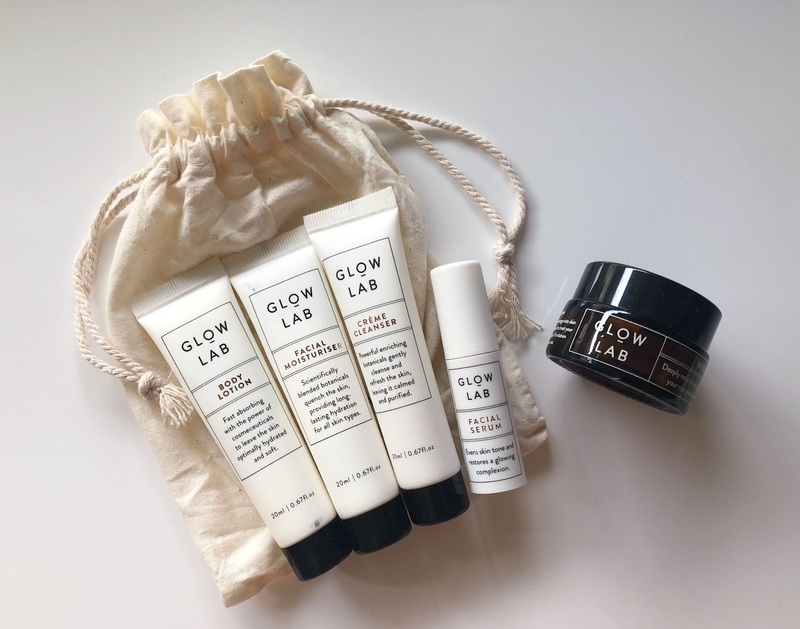 I first noticed Glow Lab in Priceline and was immediately attracted to the minimalist, apothecary-esque packaging (yes I am a huge sucker for packaging). 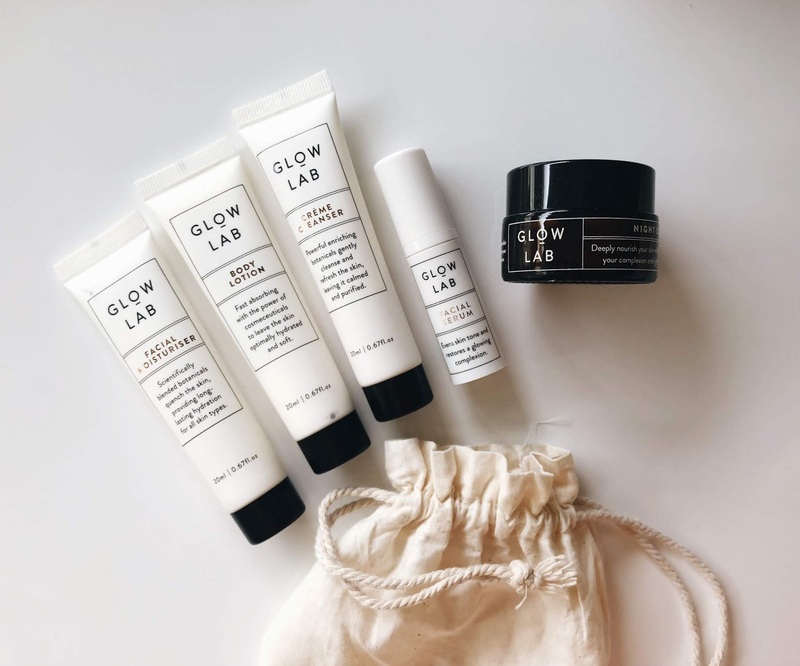 Also because the products are cruelty free, ‘New Zealand natural’ and ‘easy on the earth’- all the feel good vibes. 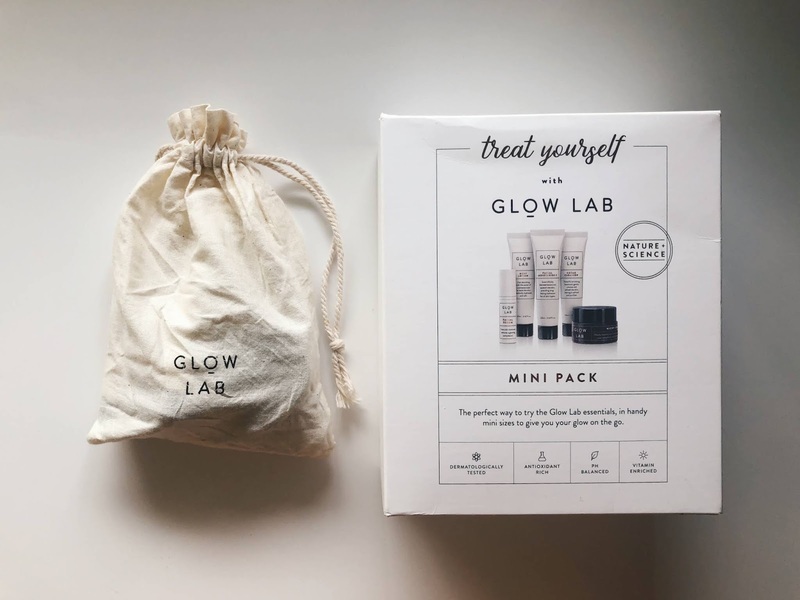 I decided to buy this mini pack to trial the products and have a cute skincare kit to bring on my trip to New Zealand. 1. Night Cream: This was surprisingly my favourite out of the bunch and as a person who doesn’t really use night cream, I am definitely repurchasing the full size. 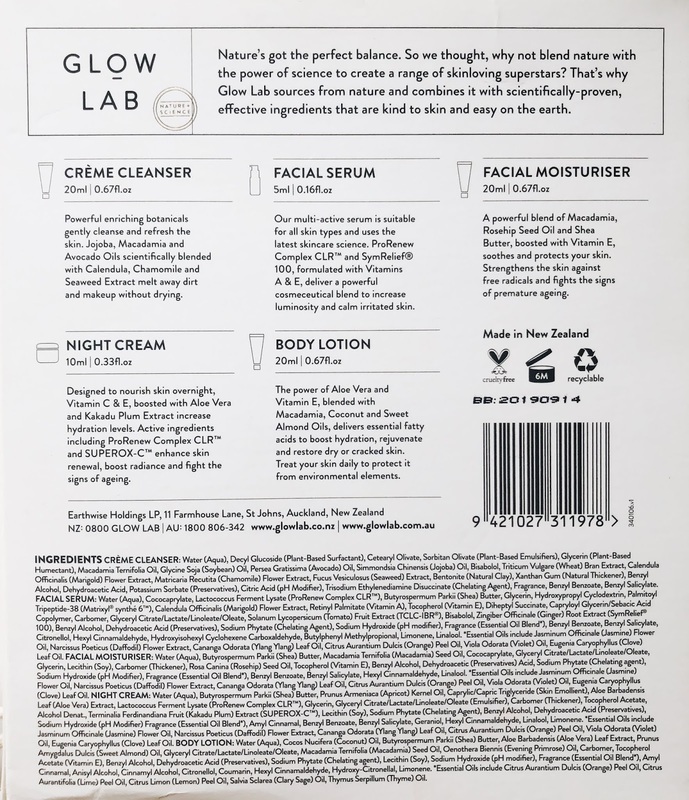 I normally use rosehip oil at night so this was a pleasant change to my routine and also perfect for the extremely dry weather in New Zealand. (my hands were flaking like crazy and I’m sure my face would have too.) It leaves my skin glowing and it melts like butter on mah face. The night cream also helped calm my mild winter sunburn which was a plus! There is a strong botanical scent, similar to the moisturiser and serum but I personally love it. 2. Body Lotion: I know I’m not the only one that loves this because it’s been out of stock on Priceline’s website for a while and in some stores I’ve visited. This was great for aiding the dry skin on my arms and legs. It feels amazing and smells amazing (shea butter, macadamia, coconut and sweet almond oils)….I could literally eat it. You can get the 400ml full size for $15 AUD which is prettyyy good. 3. Facial Moisturiser: This moisturiser is a good all-rounder and is super lightweight. It’s easy to layer under sunscreen/makeup but may not be moisturising enough if you have dry-very dry skin. 4. Facial Serum: The serum is one of the pricier products in the range and I’m quite borderline with it right now. Just because the kit has 5ml of product (the tiny pump is adorable btw) and I didn’t notice much difference using it. I might try it again in the future if I have any redness flaring up on my skin. 5. Creme Cleanser: Although this is my least favourite, it’s not bad. I like that it gently cleanses my skin but I would only use this to wash my bare face because it is so gentle. My skin type and personal preference gravitates towards more astringent cleansers which is why this is the only one I wouldn’t repurchase. If you have sensitive skin this might be worth trying.